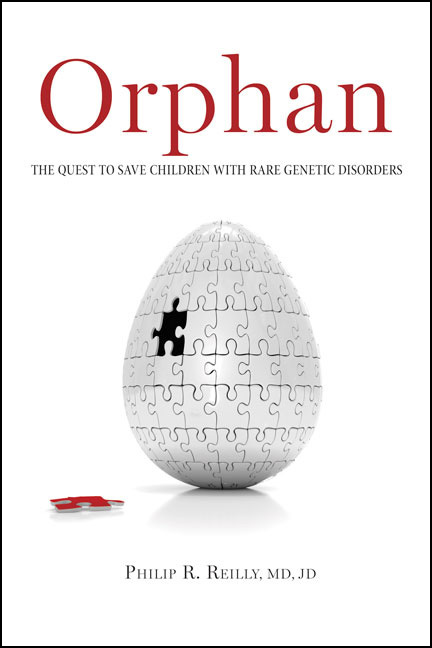 Orphan is about the struggle to save the lives of children who, because of an unlucky roll of the genetic dice, are born with any one of several thousand rare genetic disorders. Many are burdened with diseases that carry mysterious names, some of which you can read about for the first time in this book, along with compelling stories about the physicians, scientists, and parents who have taken them on. The diseases include phenylketonuria, sickle cell anemia, dystrophic epidermolysis bullosa, X-linked hypohidrotic ectodermal dysplasia, and Friedreichs ataxiajust a few of the more than 1000 genetic disorders that are well-described and many more that are not. Many manifest in infancy. Some show up in mid-childhood, others later in childhood, and still others among adults. They touch almost every extended family. Orphan is more than a book about disease and researchit gives voice to thousands of people who, all too often, have endured terrible illnesses, bravely faced arduous clinical trials, and, sometimes, have gained victories, almost always in silence. This book recounts extraordinary breakthroughs and hopes for the future. Many of the disorders that will end our lives are in some part genetically influenced. We really are all orphans, and this book is for all of us. About the author: Philip R. Reilly earned his undergraduate degree at Cornell University, studied human genetics at the University of Texas Graduate School of Biomedical Sciences, and graduated from Yale Medical School in 1981. He did his medical residency at Boston City Hospital. He earned board certification in internal medicine and clinical genetics, and a law degree at Columbia University. He has served on the Board of Directors of the American Society of Human Genetics, and he is a Founding Fellow of the American College of Medical Genetics. He twice served as President of the American Society of Law, Medicine, and Ethics. During the 1990s, Reilly was the Executive Director of the Eunice Kennedy Shriver Center for Mental Retardation in Waltham, Massachusetts, a nonprofit that worked on understanding childhood and adult neurological disorders. Dr. Reilly has held faculty positions at Harvard Medical School and Brandeis University. Since 2009 he has worked as a venture partner at Third Rock Ventures in Boston where he focuses on helping to start companies to develop innovative therapies for orphan genetic diseases. Over the years he has published six books and many articles about the impact of advances in genetics. Reilly frequently works with patient groups who are concerned with rare genetic disorders.